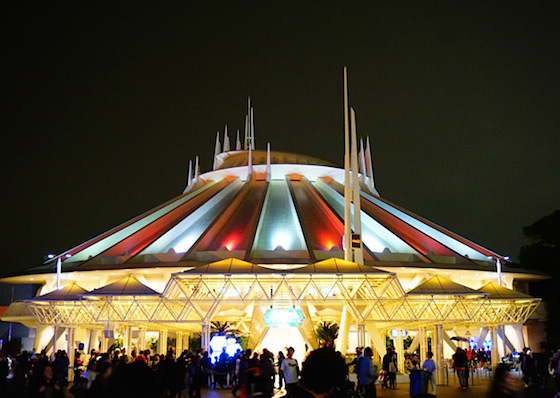 Space Mountain is a roller coaster in Tomorrowland at Tokyo Disneyland. While it's not the best, it is also recommended. The minimum height to ride is 40 inches. Tokyo Disneyland's Space Mountain is an exact clone of the Space Mountain at Disneyland prior to the 2002-2005 refurbishment, sans the music. The track layout and queue line is the same as California's. However, the attraction was given a refurbishment from October 2006-Apirl 2007. The ride reopened with new rockets, new effects, redesigned queue, and much more. The ride still does not have a sound system.